A car wreck can be traumatic and violent. The loud bang of metal smashing into metal, skin lacerations and eye injuries from shattered windows, burns from deployed airbags, head trauma, neck/back injuries, and much worse. Tempers flare, adrenaline is high, but it is important to stay calm and be aware of any other potential dangers, like fire. Call 911 to request a police officer to investigate the crash, and to request medical assistance if you are injured. If it hurts to move, it may be best to stay put in your vehicle until an ambulance or the fire department arrives (movement can aggravate the injury). You can take the ambulance to the nearest hospital emergency room, where they are required to treat you even if you do not have health insurance or any money to pay. Medical bills are part of the damages you can claim against the at-fault driver. Get the following information regarding the other driver from the investigating police officer or directly from the other driver: name, address, telephone number, auto insurance information, driver’s license number, and vehicle license plate number. Also get the case identification number from the investigating police officer – the officer should give you a card with his/her name and the case id. Get the name, address, and telephone number of persons that witnessed the accident. A witness may be needed to prove that the other driver was at-fault. 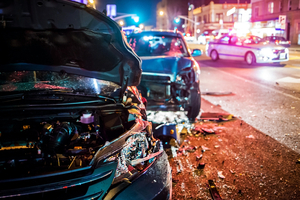 A common issue that arises in a car wreck case is who ran the red light. A witness can help establish that you had the green light. If possible, take photographs/video of both vehicles and the scene of the accident. Photographs/video can help establish that the other driver was at-fault by showing the position of the vehicles after the crash, skid marks, etc. Photographs/video showing damage to the vehicles can also establish that it was a serious crash. Sometimes the other driver’s vehicle is more damaged than your vehicle. The at-fault driver’s insurance company may try to downgrade your claim by arguing that damage to your vehicle is minor; however, damage to the at-fault driver’s vehicle may be major (for example: pick-up truck rear-ended by at-fault driver’s car - car more damaged than truck). The significant damage to the at-fault driver’s vehicle can help establish the force of the impact and corroborate your bodily injury claim. Consider contacting a personal injury attorney before trying to make a claim with the at-fault driver’s insurance company on your own. The insurance company’s modus operandi is to pay little or no money at all on your claim. Further, if you call the insurance company directly, they will most likely take a recorded statement from you that could hurt your case. One of the first questions you will be asked is something like: “You aren’t hurt are you?”, or “Are you ok?” Sometimes it takes more than a day to feel a neck/back injury from a car accident. If you develop the symptoms of the injury after you tell the insurance company in a recorded statement that you are not hurt, or that you are ok – your bodily injury claim is less credible. The at-fault driver’s insurance company does not have an absolute right to take a pre-lawsuit recorded statement from you, and an experienced personal injury attorney will most likely not agree to you giving such a recorded statement. Even if the other driver is at-fault, the at-fault driver’s insurance company will not immediately agree to repair your vehicle and provide a rental car – they will first want to “investigate” the incident and obtain the crash report prepared by the police officer. It can take up to 10 days or longer to get the crash report. A personal injury attorney can advise you on how to deal with towing fees, storage fees, car repair, and car rental issues while the at-fault party’s insurance company “investigates” your claim. In almost every instance, the at-fault party’s insurance company will not pay on your bodily injury claim until after you complete medical treatment, and will not pay for your medical treatment in advance or as you receive the treatment. A personal injury attorney can advise you on how to get medical treatment for your injuries, even if you don’t have health insurance. In fact, several health care providers will not even accept health insurance for injuries caused by a car accident. 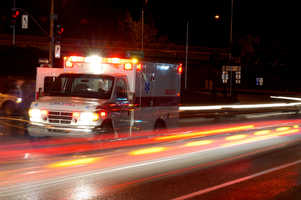 Again, a personal injury attorney can help you get the medical treatment you need. An experienced personal injury attorney may also want to do the following, even in a clear liability case: obtain any video surveillance of the collision from nearby establishments; do a public information request for any traffic device video of the collision, and police body cam and dash cam video of the investigation; obtain all reports prepared by the police department, fire department, ambulance service; meet with witnesses; inspect and photograph/video the accident scene; etc. This information can help establish that the other driver is definitely at-fault, and also show the seriousness of the crash. After you complete medical treatment, your lawyer can negotiate a settlement with the at-fault party’s insurance company, or file suit if the insurance company is not being fair. Your lawyer should be willing to file suit and fight for you in court, if necessary. There can be several traps and pitfalls in even a routine car wreck case. It is better to have a personal injury attorney navigate this storm for you. I have successfully represented clients in personal injury cases in South Texas for 20 years. For the first 10 years of my practice, I was hired by insurance companies to represent their insureds in personal injury cases. I then switched sides, and for the past 10 years, I have zealously represented victims of personal injury. I use the knowledge and experience gained from working on the insurance defense side to get the best results for my clients. I am sincerely committed to getting the best outcome in every case.